A brand new after-hours art experience is coming to Wakehurst this summer. The Wonder Project is a multisensory journey through Wakehurst’s wild landscape where visitors will encounter specially commissioned installations of light, sound and sculpture. The evening will culminate in a wild flower meadow as guests gather to watch the sun setting over the rolling hills of Sussex. Curated by arts collective Shrinking Space, who have previously worked with Somerset House and the Barbican, The Wonder Project will encourage people to step out of their comfort zone, step away from their go-to-responses to any given situation, and attempt to wonder about where they find themselves. One installation comes from renowned British-Ghanaian artist based at Somerset House Studios, Larry Achiampong. Achiampong’s work will feature four text-based sculptural elements within one of Wakehurst’s meadows. Along the journey, Hidden Orchestra’s sonic woodlandwill reach the ears of visitors. Brighton-based artist Joe Acheson has collaborated with sound designer Tim Southorn on a soundscape to represent the underground network of fungi that connects trees and allows them to communicate. Another spellbinding work is by Limbic Cinema, a creative video-design studio who haveconstructed a mesmerising light sculpture to reflect the solar cycle. Throughout the journey, visitors will also be able to participate in the creation of Colourfieldbyartists Eloise Moody and Vicky Long. 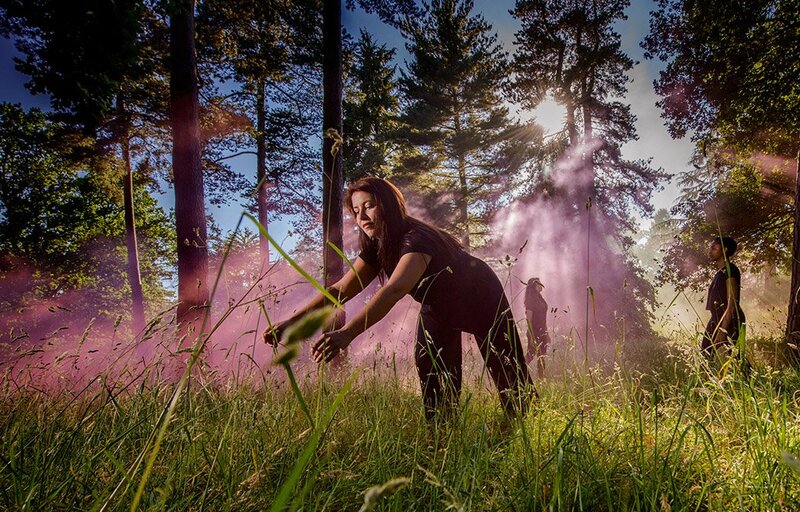 The project will ask audiences to reimagine colour in response to Wakehurst’s environment.